After graduating from Central Michigan University in 1973, I worked in management positions in the industrial tool business. I realized that my real passion, interest and talent was in excavating and land sculpting business. I have lived and worked in the Saginaw area for over 40 years, am married to Linda and have three grown daughters. 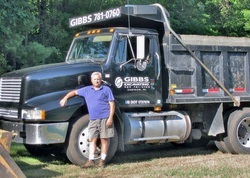 In 1999, after many years of working with excavating equipment for personal use, I retired from my job in the industrial tool business and went into the excavating business for myself, expanding my equipment to include a bulldozer, backhoe, excavator and a tandem 12 yard dump truck. My business has grown as my loyal and satisfied customer base of builders, developers and homeowners has continued to increase.